Kanan Devi, in a pretty blue, gold-edged blouse with a nicely coordinated sari. I love the quiet beauty of this picture. OK I really like Kanan Devi. Full stop. 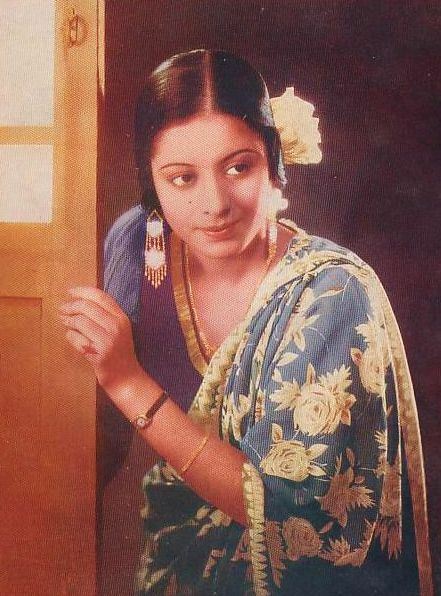 This entry was posted in 1940s, Actor, Indian Cinema, Sari, Sari Blouse and tagged 1930s, 1940s, india, Kanan Devi, saree, sari, sari blouse, vintage. Bookmark the permalink.